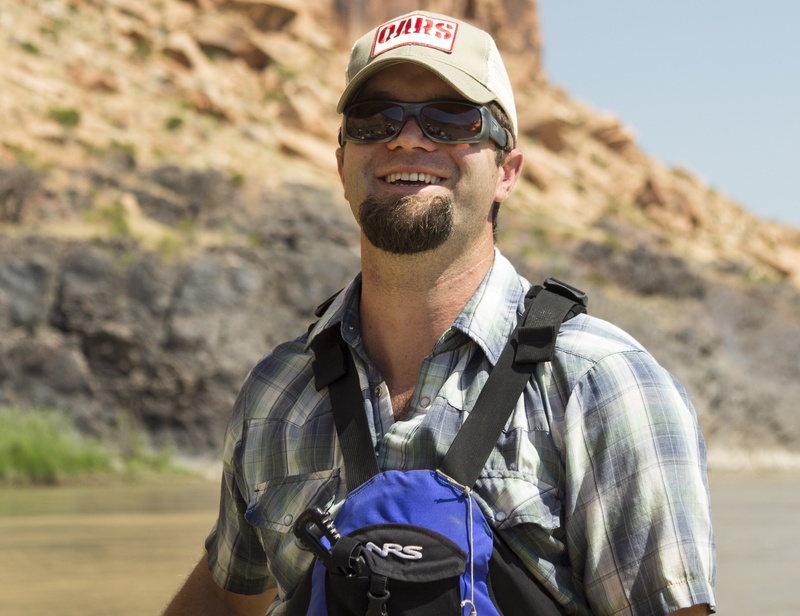 When Seth Davis, OARS’ Canyonlands Manager, is not off guiding Cataract Canyon rafting trips or leading backcountry tours through Arches and Canyonlands National Parks, he spends his time hiking or camping in the La Sal Mountains with his wife. You’d never guess that three years ago he lost his left leg in a hunting accident. That’s because Seth, who’s been with the company since 2008, hasn’t skipped a beat (or a season, for that matter). 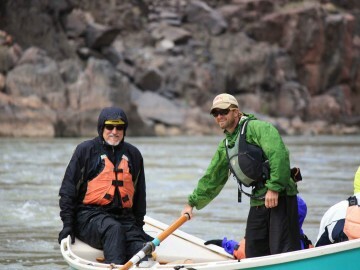 We chatted with him recently to find out what led him into rafting, how the river helped him heal, and what “normal” looks like these days. What brought you to Moab? I’d been working in the outdoor rec industry, but I’d always wanted to get into commercial boating. I was immediately drawn to Moab. 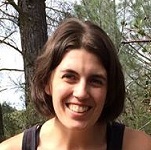 I felt this instant connection to the guides and knew this was the community I wanted to be involved with. 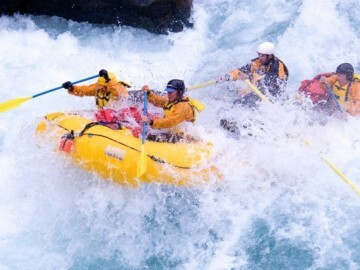 What do you love about the rafting there? 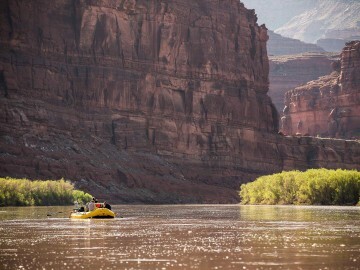 I haven’t boated everywhere, not even close, but nothing I’ve done quite holds a candle to Cataract Canyon in high water. Cataract still seems wild. It keeps you on your toes because throughout the season everything changes. It’s not the same old trip. Cataract is very alive. You were in an accident three years ago that could have kept you from guiding ever again. But it didn’t. Yeah, it was a hunting accident. But not a gunshot. Me and my old man were hunting, and I got a bull. We were going to use the car to hoist it up into a tree to take the hide off…something we’d done many times before. My dad was backing up, and I was about to clip the rope to the hitch with a carbineer. Somehow he lost control of the vehicle and I got pinned up against a tree. The hitch pretty much amputated my leg right then and there. That’s the quick and dirty story. I was in the hospital for three weeks. I think I had ten surgeries, and then it was about three to four months until I could get fitted for a prosthetic. I was in my first prosthetic mid-lateApril. Ever since then I’ve been still recovering in some ways. Yet you were on a Yampa River rafting trip that May. 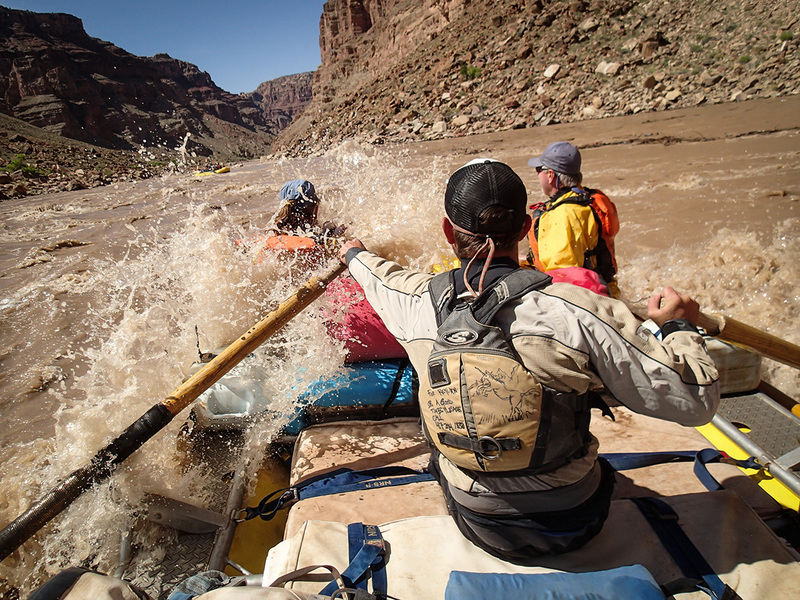 How did you find the courage to get back on the river so soon? I didn’t need any courage, it was a natural desire. I think it’s an incredibly therapeutic thing to do anyway, so I wanted to do it as soon as I could. 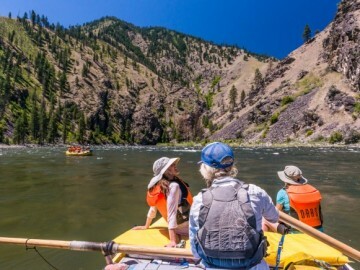 You may have felt it before on a river trip when you push off from shore? There’s just that immediate relief. How did those first couple of trips go? It was hard—having to do something I used to do, and then having to deal with it in my new situation. I remember vividly the first time I was able to actually step from shore onto the boat. Those “firsts” were hard, but good at the same time. You’re also spearheading OARS’ Backcountry Interpretive Vehicle Tours. Can you tell me a little bit about those? These trips allow people to get off the beaten path and see the national parks with some degree of solitude. In Canyonlands we go out to the Island in the Sky District along the Schafer Trail. At Arches we go in on Willow Springs Road—the historic entrance back before Arches was a national park. We see dinosaur tracks, an old cowboy camp and the Eye of the Whale Arch. These tours offer up-close access to some of those vistas without competing with all the tourists in the main parts of the parks. Why do you think Moab is such a great adventure destination? It’s something more than I can really describe with words. Something unique about Moab is there is so much public land that you have the ability to get out into—paved roads, off road adventures, or the river. There are so many outdoor pursuits you can do.